Oh, I do want to hear about journal notes over drawings you don’t like– what a great idea. OK, that was just a little too funny for early in the AM. I am ALWAYS mis-hearing things and there is never anyone around to tell so I just end up laughing out loud and looking psychotic. Gorgeous camellia!! You certainly do a wonderful job with a complicated subject–all those petals!! I want to hear about journaling over mistakes, too! 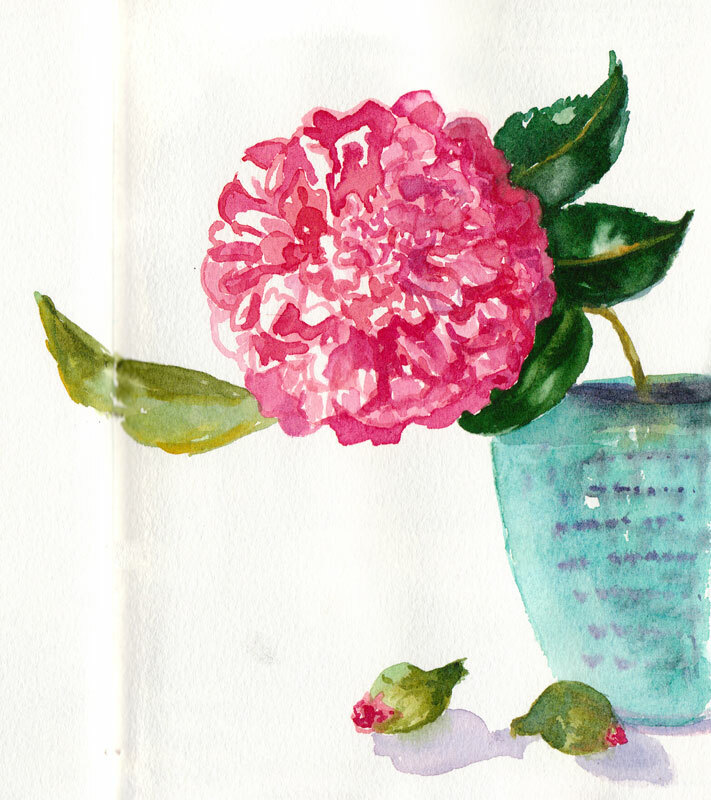 Jana, your flower sketches are always lovely. This one was a wonderful treat on a cold snowy day. Thanks! That’s one reason always having a sketch/journal with you is so important. You can remember all those misheard but oh-so-intriguing snippets. I’m sure you will use it well someday. Thanks for the pot idea. 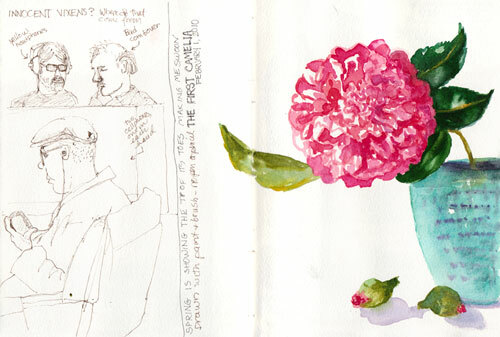 Great camellia – I need to remind myself that painting without drawing in pencil can be a huge release and drawing with a brush is nice! Hi, just wanted to say I enjoyed myself this morning while visiting your blog. I haven’t stopped by for a while so I had a lot to ketch up on.